Put down those dog eared running shoes. Yeah, the ones that look like they were found on an archeological dig. 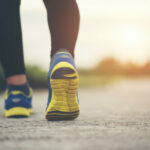 When was the last time you um “updated” your running shoes? We know that they’re “comfy” but that’s no excuse for wearing something that smells like it died on the end of your foot. It’s time for a change. Your girlfriend knows it, your feet know it and God knows, your nose definitely knows it, even if you don’t. Believe it or not, trail shoes that have been made to see serious combat can indeed look good. Better still; fashionable. Don’t believe us? 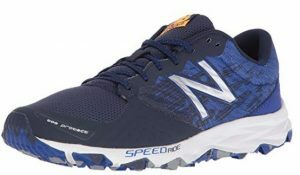 Then look here, at five of the best trail shoes for men this summer. Looking for something that you can put through its paces on the trail, but that you don’t have to hide in shame the minute you come through the door? 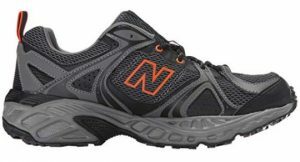 Consider this pair of 690v2 New Balance Trail Running Shoes. 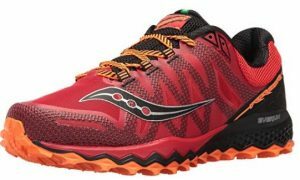 Although the listing seems to have changed a little since we originally reviewed it last year, it is still fundamentally the same trail shoe. Available in a few colors, these are as funky as they are chunky. With soles that look like they mean business, we are satisfied that you will grip to the terrain, whatever it throws at you, as you complete your trail. This has been designed to be worn off road (as you would hope, really) but although it has a nice firm construction to it. 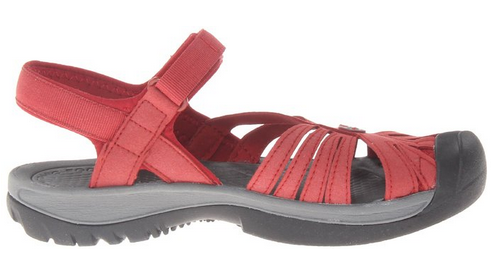 It won’t weigh your foot down and its mesh construction ensures it feels nice and light on your feet. Hopefully, they won’t stink either. Phew! The only downside of this airiness is, of course, the negative effect on the waterproofing. You can’t have holes without water trickling in after all. And although the soles seem water resilient, be reminded that these shoes are for dry trails mainly. However, the manufacturer New Balance do make other, more waterproof versions. All the same, readers have given them the thumbs up and seem to have taken them to their heart. 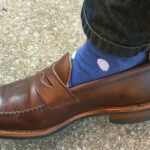 Or should that be – their soles! Coming in a tad heavier than their sister pair, the 690v2, we have the slightly weightier New Balance 481v2. 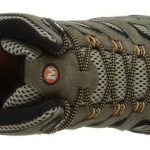 The first thing we can say about these trail shoes is they are comfortable. And the second. And the third. This trail shoe has more cushioning than a hemorrhoid clinic waiting room. You’ll be comfortable. Trust us. 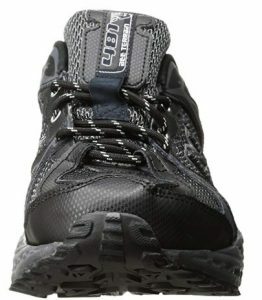 The rugged design means you can’t exactly forget these are trail shoes, but they manage pretty well on smooth surfaces as well. Not all trail shoes are as versatile as this. This means they can be worn at the gym and over asphalt outdoors. They could also be used by people looking for extra support, even if they are not specifically designed for podiatric conditions. The only slight snag is that they aren’t explicitly waterproof. However, they should withstand the odd splash here and there. 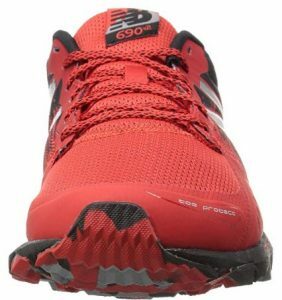 In short, if you’re looking for a pair of trail shoes which basically are going to kiss your feet every time you wear them, then look no further. 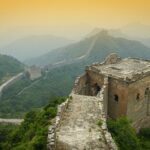 Get ready for the trail of your life! These are neutral shoes which offer all the cushioning you would expect and a rugged nature that you can take anywhere (mostly). First thing we can say about these is they grip. And then some. There’s a sturdy looking toe cap for when the going gets tough and they combine this strength with a nice light and airy mesh upper. For extra support, there are textile stitched overlays, keeping it all in and extra protected. Take care when choosing these Rockadia M by Adidas. If you look carefully, some of the designs are subtly different from each other. This may be down to changes in the design over time. But just check you are getting the style you signed up for! Maybe these aren’t especially designed for river walks, but they can deal with the odd shower we feel. Don’t get them overly wet, however, that mesh upper will let in the water. 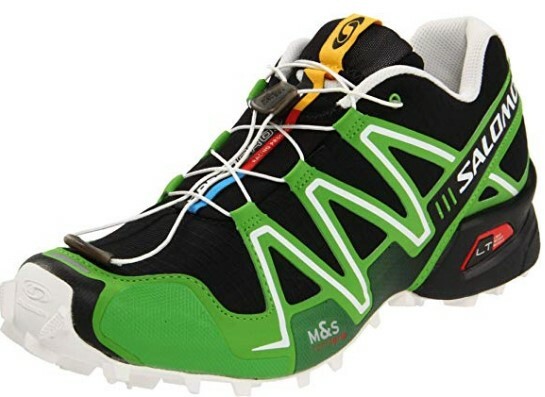 These are highly popular with runners and casual hikers alike. The only thing we would advise is that at a 61% fit as expected rate, be warned these do run slightly small. 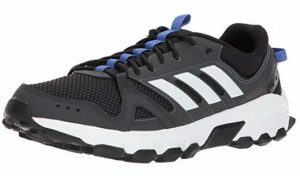 If it’s a drop of color you’re looking for to brighten drab workouts, this is the shoe to do it. Not afraid of drawing attention to itself, the Speedcross 3 is a trail shoe that is designed to be seen out! There are quite a few striking shades and mixtures of color in this range – we’ll leave you to explore them, but suffice to say you shouldn’t lose them in a crowd too easily! Although it appears there’s a couple of variations in style (at least in some listings) these are a fairly sleek design, from the upper perspective. With bungee (quick lace) laces, these will pull on just fine. They’re nice and light, with comfortable ortholite insoles and EVA midsoles and of course, have a rubber toe cap. These have definitely been designed for mud trails – you can see that when you flip the soles and see contagrip soles on them. 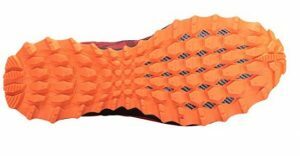 What we’re slightly surprised about (albeit in a good way) is that these trail shoes have a mesh upper but are simultaneously described as being water resistant and snow resistant. 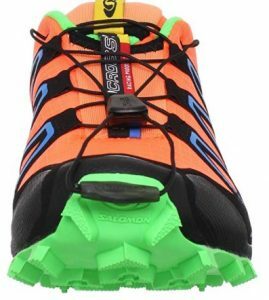 Since the manufacturer Salomon, design footwear specifically for skiing in the Alps, then we suppose we have to trust them when they say they are snow resistant! Either way, the only thing you might want to know about these is that they mainly fit as expected, but might run a smidgen on the small side. And that with more than four thousand feedback, overwhelmingly positive, they are loved by runners everywhere. When you’re quite done falling off your chair in laughter at naming a running shoe Peregrine then you might be pleasantly surprised. Despite initial appearances (which are bright) these are clearly a serious runner’s shoe and made to do what it says on the tin. That is to run and run hard! One look at those grippy soles (PWR TRAC to be precise) and we can see we aren’t going to be slipping up anytime soon. Of course, you can’t not mention the eye bleed either. Especially the red/orange/blue. It looks like you just stood in Sonic The Hedgehog’s trippy cousin. 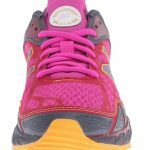 These really do offer support to anyone with pronation issues and have a RUNDRY collar lining to stop that sweat build up you may be all too familiar with. The only slight disappointment is these are not fully waterproofed. But you can’t have everything. They will rebuff a bit of light splashing, however. Wear them to be seen – this style don’t do shy and retiring, but at least mountain rescue will find you okay if you ever get into a tight spot! 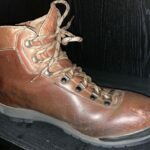 Previous ArticleWhat Is A Breathable Shoe?